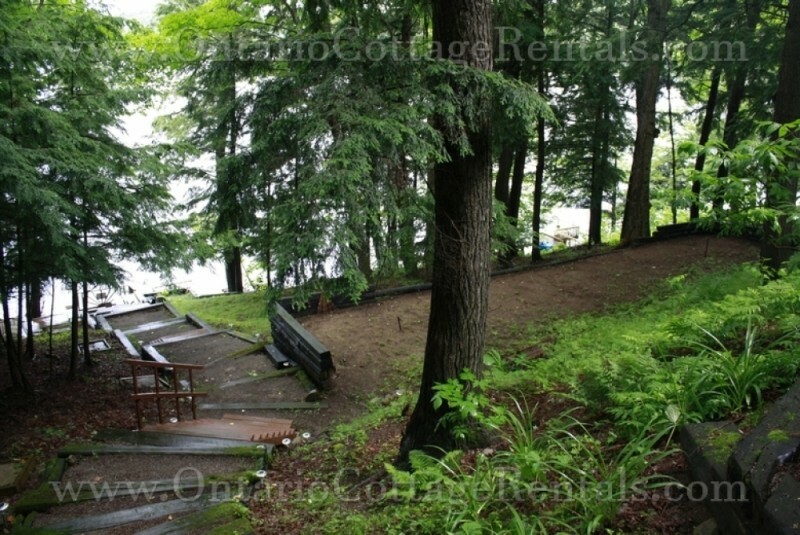 This cottage offers a great view of Lake Vernon, and only 20 minutes away from the town of Huntsville! 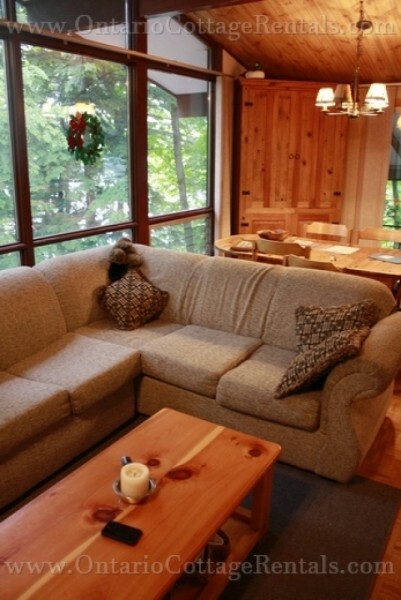 The large A-frame window in the living room offers a great view of the lake, and fills the cottage with natural light. 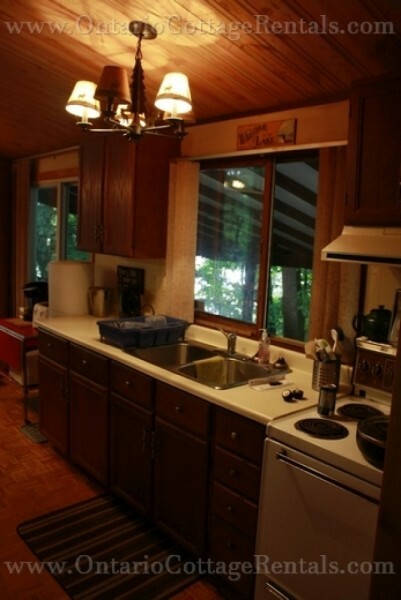 Outside there is a spacious deck that has room for the whole family to view the lake. 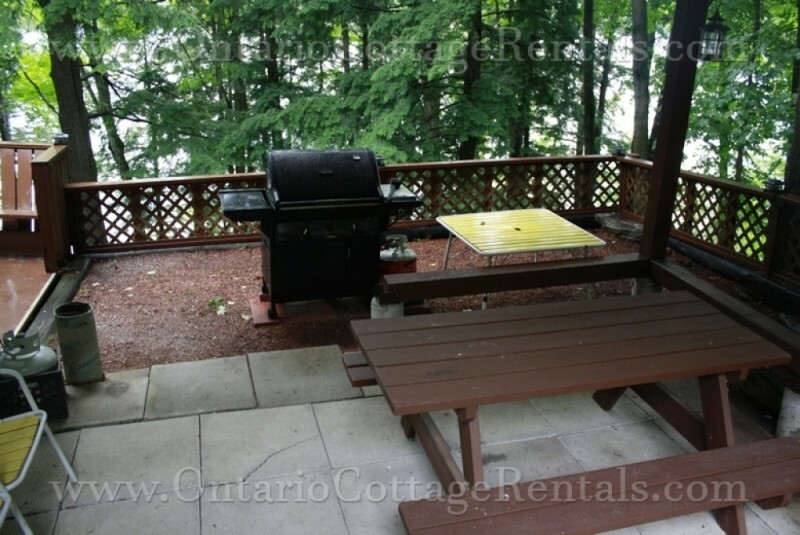 There is a BBQ and picnic table area on the deck, which is perfect for enjoying meals outside. 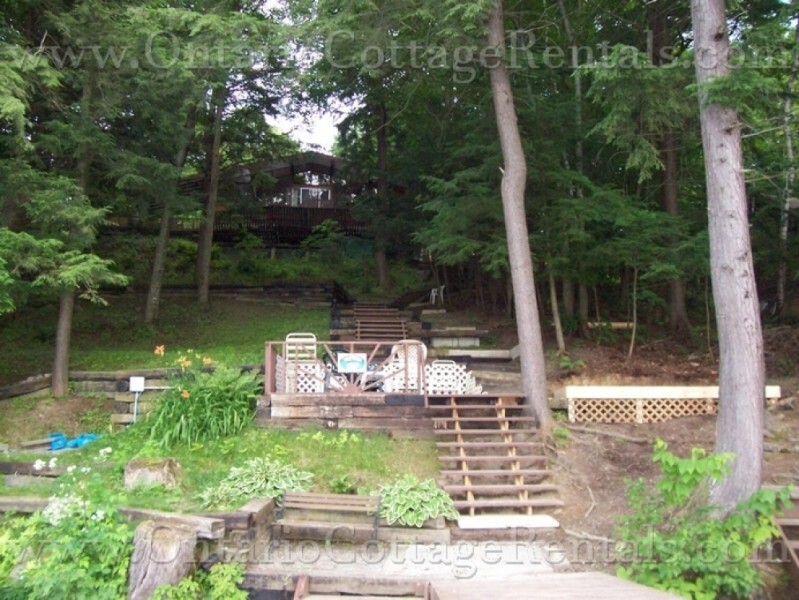 The cottage and yard gets shade all day long from the numerous trees. There are 66 steps to the dock and horse shoe pit. The dock is not shaded, and offers sun until 4pm in the afternoon. Swimming is off the dock, or there are five steps into the lake for a more gradual entry. 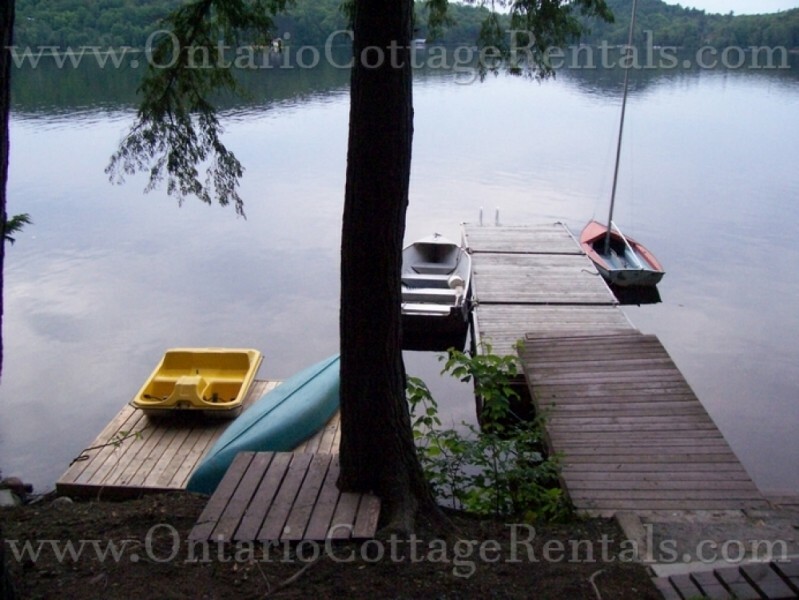 There is a canoe, paddleboat, sailboat and rowboat available to fully enjoy the lake. At the back of the house near the driveway is the fire pit. 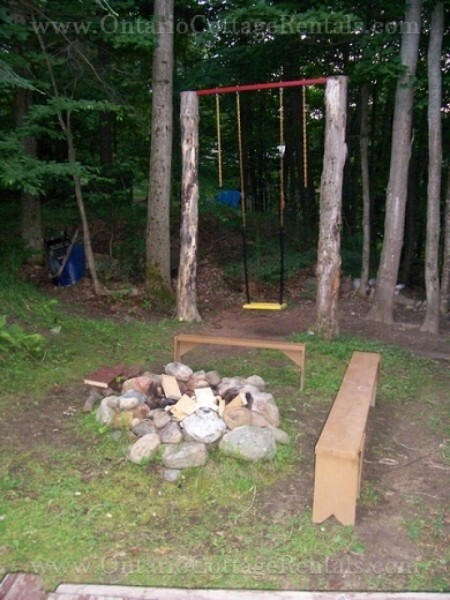 There is a swing, picnic table and other seating available to sit and relax around the fire at night. 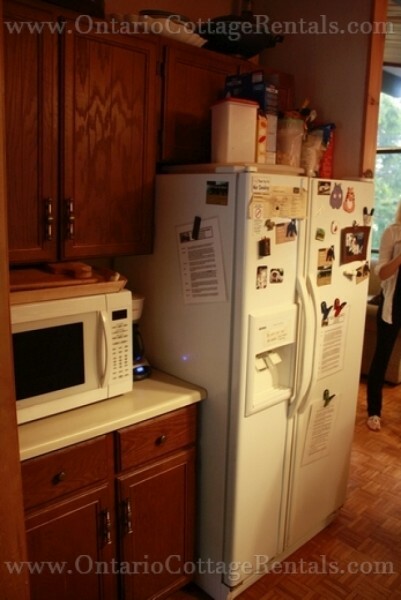 The kitchen has dining for six, and is equipped with a fridge, stove, microwave, toaster, water cooler, coffee maker and even a Keurig coffee maker. Cups are not provided. There is also a highchair available for the little one. The living room has seating for the whole family. There are two couches and a rocking chair, a fire place, TV and lots of games and puzzles for the time spent inside with the family. 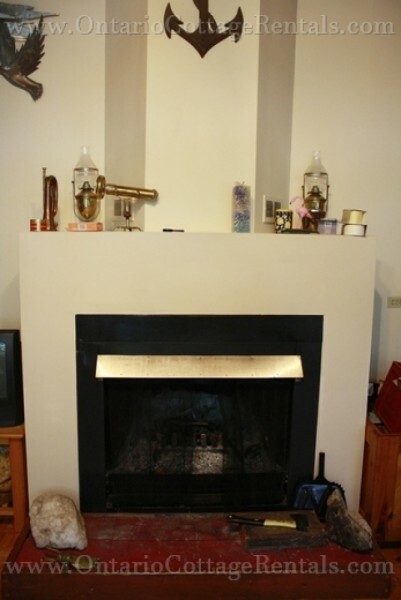 There are three bedrooms upstairs and one on the lower level. 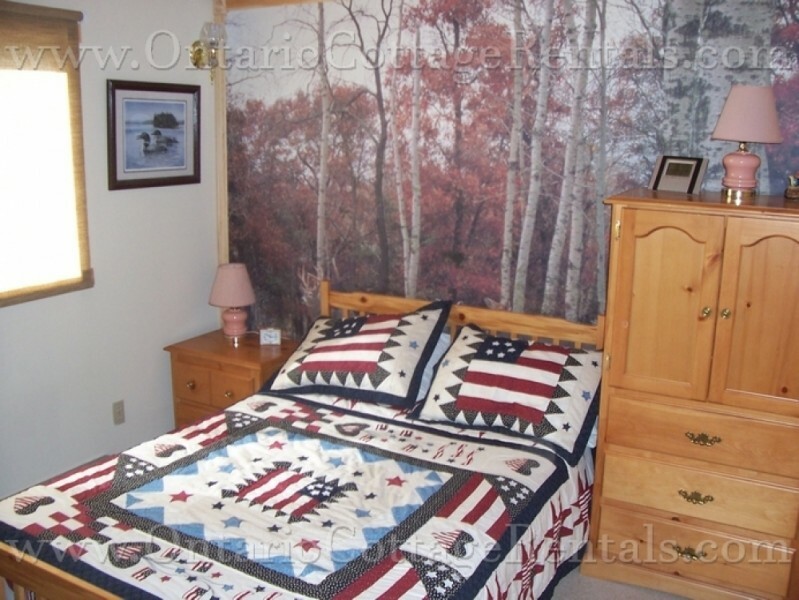 The master bedroom has a queen-sized bed and ensuite four-piece bath. 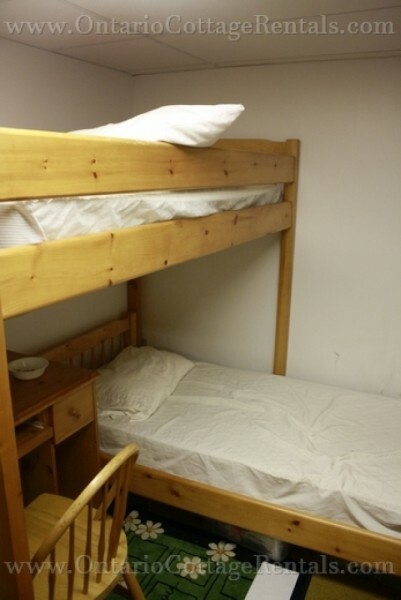 The second bedroom has a double bed, while the third bedroom has a bunk bed of singles. 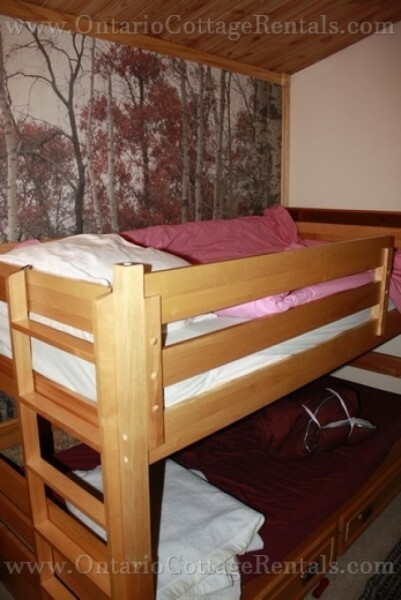 The downstairs bedroom has a bunk bed with two single beds. 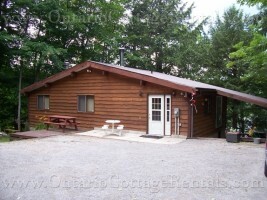 The lower level has a living room, with a TV, DVD player, fireplace, couch and another full-sized fridge. 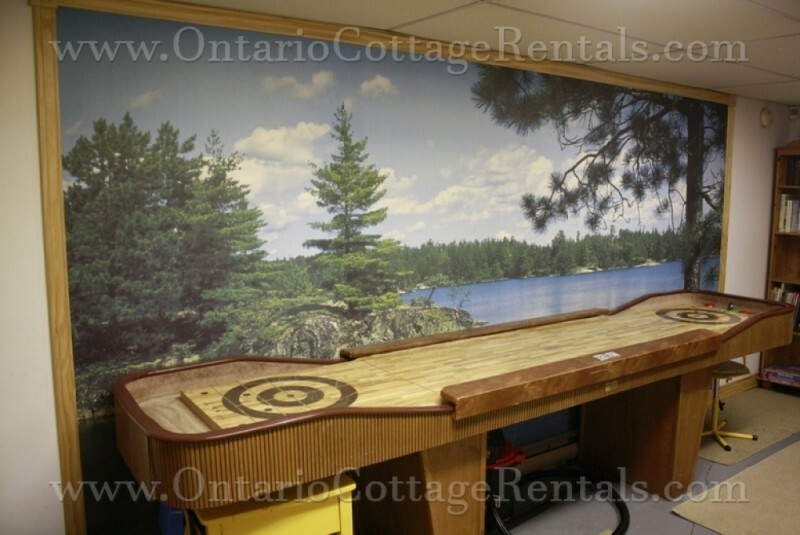 There is also a shuffle board. 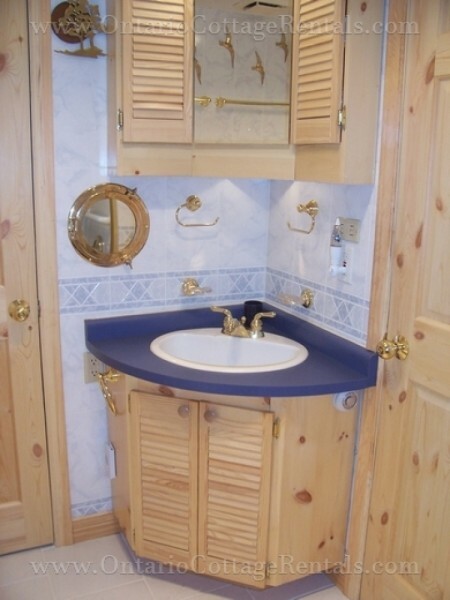 The lower level has a small bathroom with a toilet. 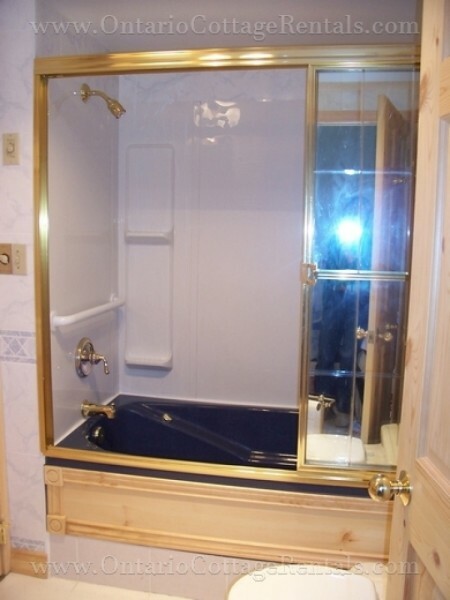 The washer and dryer are located in the lower level as well. Lake Vernon is a great lake for swimming and water activities; which makes this cottage perfect for a summer vacation with the family. High-Season includes the last full week of June to Labour Day Monday, as well as the week of Christmas and New Year's. No weekend rates available - would have to pay full week rate for just a weekend. $600 refundable security deposit required.